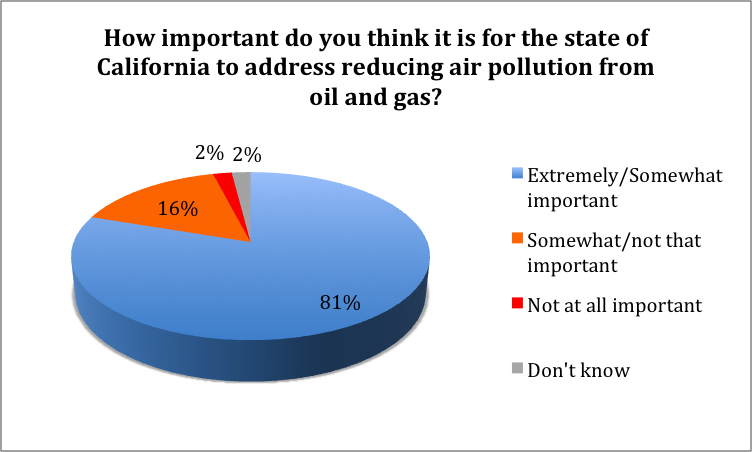 In a major poll, Latino voters urge CA to fight pollution and climate change in our communities. 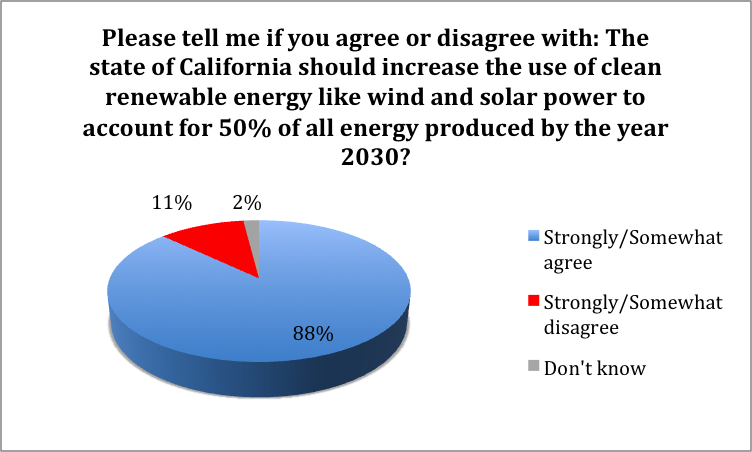 In a first of its kind effort, new groundbreaking data points to overwhelming support by California Latino voters on critical positions on the need for stronger state efforts in combating pollution particularly in communities of color, reducing our dependency on petroleum, and further expanding the Green Economy in Latino communities. The poll of 400 registered voters was conducted by Latino Decisions in partnership with Presente.org, Communities for a Better Environment (CBE), the California Environmental Justice Alliance (CEJA), Physicians for Social Responsibility-Los Angeles (PSR-LA), and the Greenlining Institute. This public opinion survey confirms that Latinos want the state of California to address global warming, climate change and air pollution, and expect more aggressive action to invest in locally targeted renewable energy sources rather than fossil fuels. 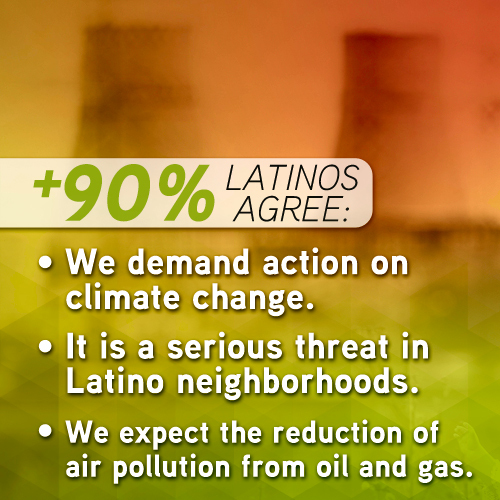 Latino voters also said that environmental attitudes have political consequences. 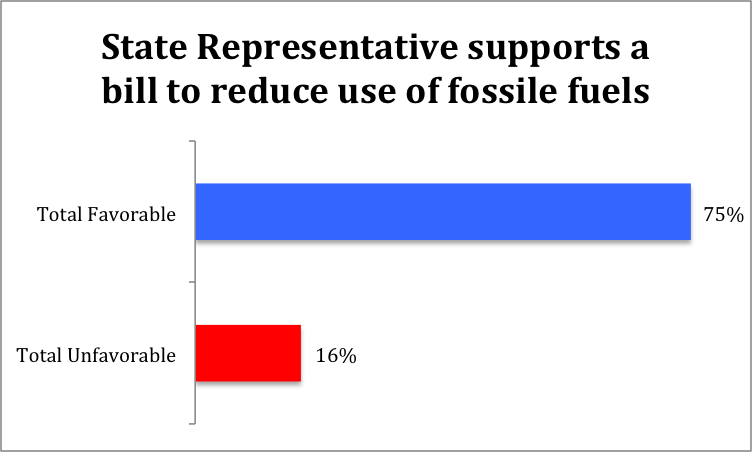 When asked whether they would feel more or less favorable toward their State Representative if he or she supported a bill to reduce the use of fossil fuels, overwhelming majority of respondents said they would be more favorable to their representatives. 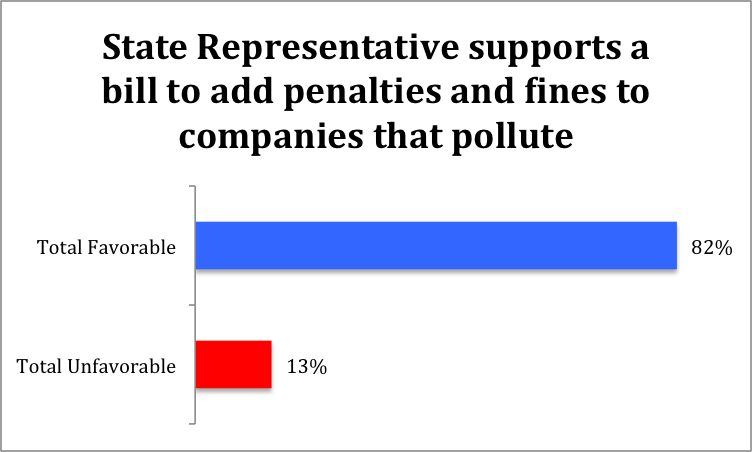 A whopping 82% said they would be more favorable toward a legislator who supported a bill to add new penalties and fines to companies that pollute. 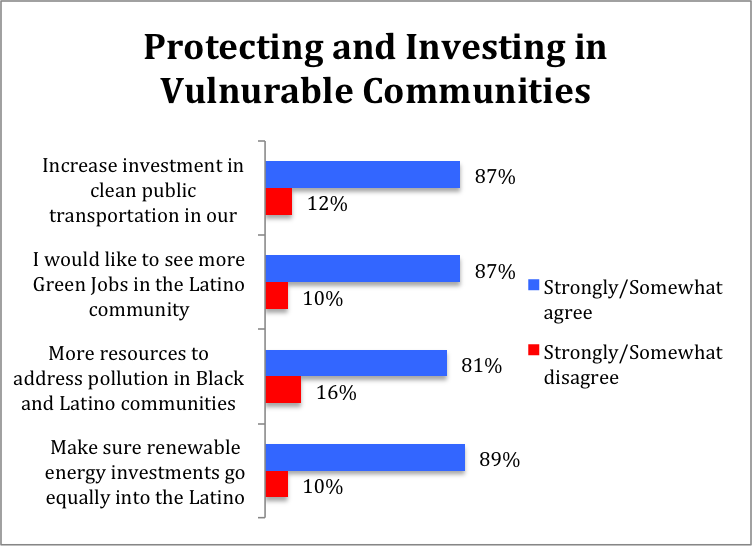 When asked about how to address the problem, Latino voters respond more enthusiastically to environmental justice and protection strategies that are specifically devoted to targeting most impacted communities, particularly Hispanic and other communities of color. 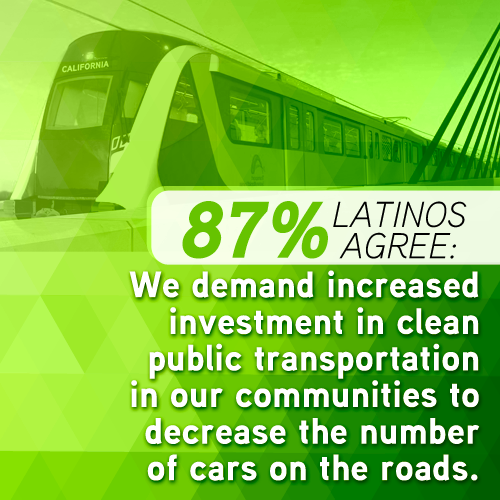 87 percent of Latinos agree that we need to increase investment in clean public transportation in our communities to decrease the amount of cars on the roads and 75% support the state to provide financial assistance for low income families in buying low emission cars. 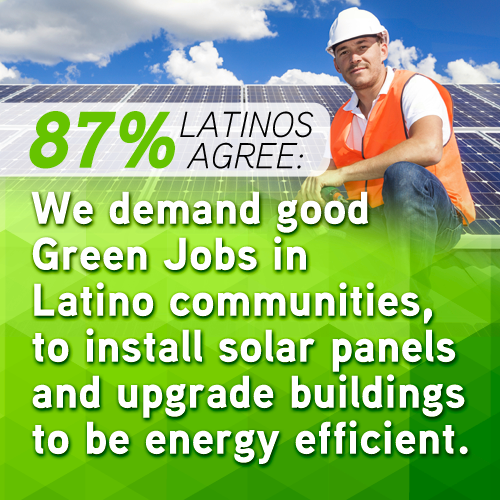 87 percent of Latinos say they would like to see more “Green Jobs” in the Latino community. 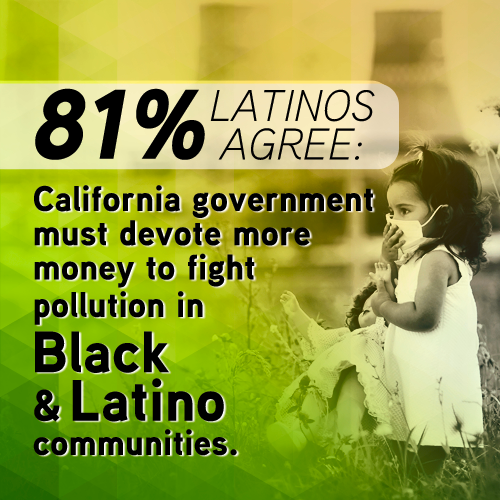 81 percent of Latinos agree that our state government should devote more resources to address environmental issues and pollution in Black and Latino communities. 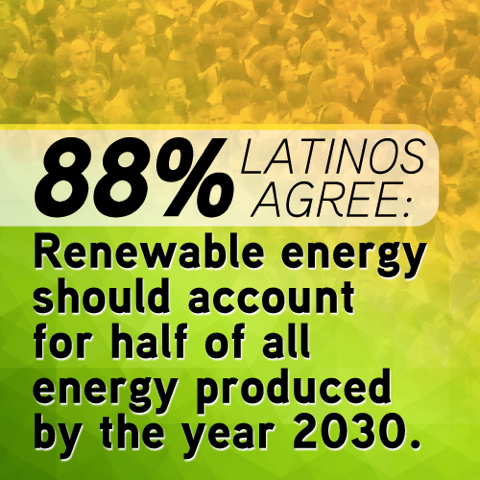 89 percent of Latinos agree that if the state invests money to develop new technology for renewable energy and pollution control, we need to make sure those investments go equally into the Latino community.